Caption slip reads: "Monday. Photographer: Rustan. Date: 01-24. Reporter: Petty. Assignment: Mechanized ski invention. 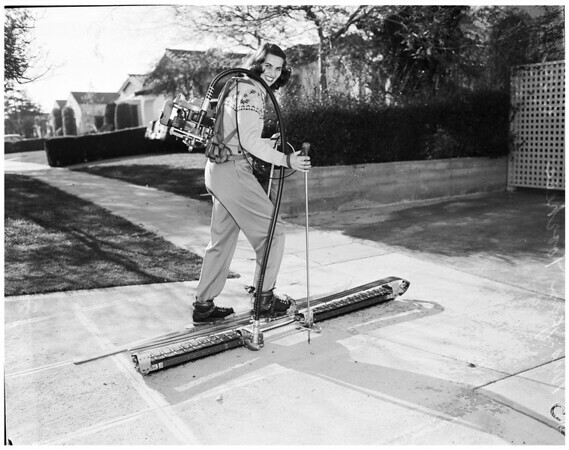 Mrs. Jean Voorhees, wife of inventor, demonstrates how ski with tread operates to go up hill. On left foot she has conventional ski."